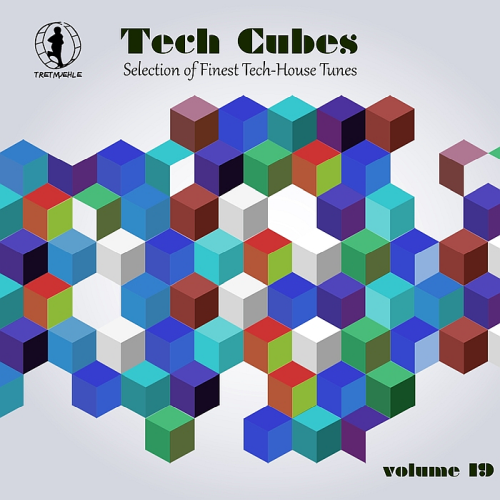 Date: 22.02.2018 | House, Techno, Minimal | Tags: Tech Cubes, Selection of Finest, Tech-House Tunes, Tretmuehle Records, Stefano Noferini, Tolstoi, Miguel Alcobia, Max Muller | Download Tech Cubes Vol. 19 - Selection of Finest Tech-House Tunes! (2018) for free. The Tretmuehle label is based in the south of germany and offers quality compilations from Minimal to Tech-House even to Electronic Ambient. Stefano Noferini original music and remixes are charted heavily by a diverse range of talented DJs both of the commercial and underground variety. He has even crossed into a more commercial territory by overtaking artists. Even if they have different background and professional training, theyre united by their common desire to release new productions and give their own contribution to the international club scene. They put together their previous experiences to launch their new creative and musical journey! Luca Barbieri is an Italian based DJ producer, he showcases his passion for underground electronic music.